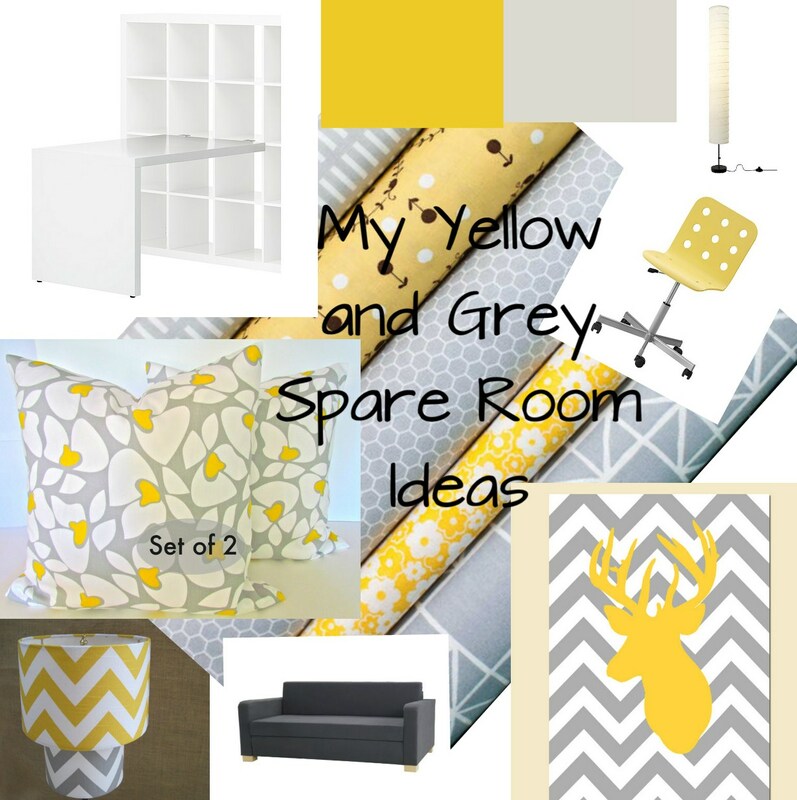 If you read my last blog post (read it here) you would of noticed that I am planning to decorate my spare bedroom for my Birthday, I am fed up of having a room with no function and no where for guests to stay. So I decided that as my Birthday was coming up this project could be my present! So this is the plan, I'm really loving grey and yellow at the moment and I have LOVED the Ikea desk and shelving unit for years and I think its finally time to go for it! So watch this space for more updates on this project!